WE MAY be a day late to truly celebrate ubiquitous May the 4th, but we couldn't resist sharing this piece of Star Wars inspired music from Grafton's musical maestro Paul Hankinson. 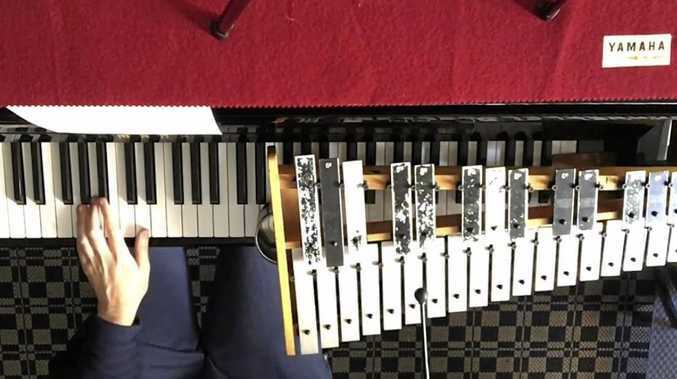 Titled 'Binary Sunset' - the piece, played on piano and glockenspiel takes some of the most well known refrains and lines from John William's superb Star Wars score, and creates the sweetest sound you will hear this side of the Empire. Mr Hankinson recently released his album of original piano works entitled Echoes of A Winters Journey, but is perhaps more famous on the internet currently for another of his Youtube creations. His wedding mashup of Ed Sheeran's blockbuster 'Perfect" combined with Pachabel's Canon has achieved more than 4.1 million views, with requests for tutorials and sheet music coming from all over the world. Mr Hankinson learned his music at his hometown in Grafton before moving away to pursue a careeer in musical composition and performance, and is based out of Germany.